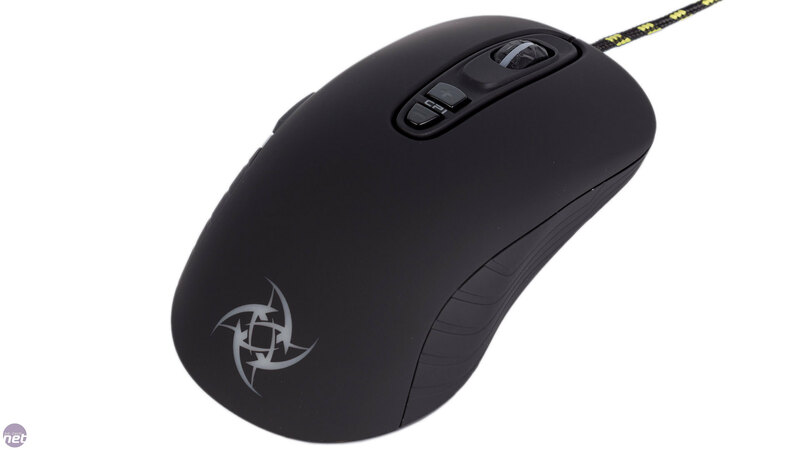 There's more than a hint of Zowie about the Xtrfy XG-M2-NIP – the ambidextrous shape, minimalist styling, the price and even the black and yellow colour scheme. 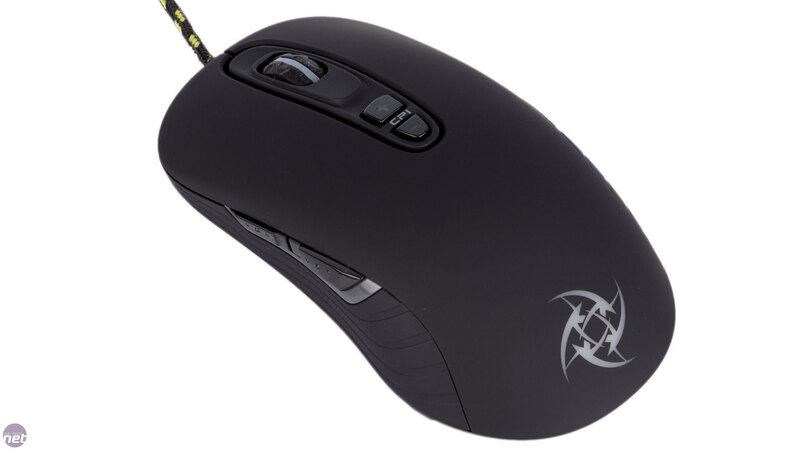 Still, Zowie is a well-known and much-respected mouse manufacturer, and this certainly isn't an exact replica. We've been furnished with the NiP edition. For those who don't follow esports, this stands for Ninjas in Pyjamas, a well-established team that has officially endorsed the XG-M2 mouse, hence this limited edition. The only difference is the replacement of the Xtrfy logo with the NiP one – it only costs £3 more for this, so really it's just down to which you prefer the look of. 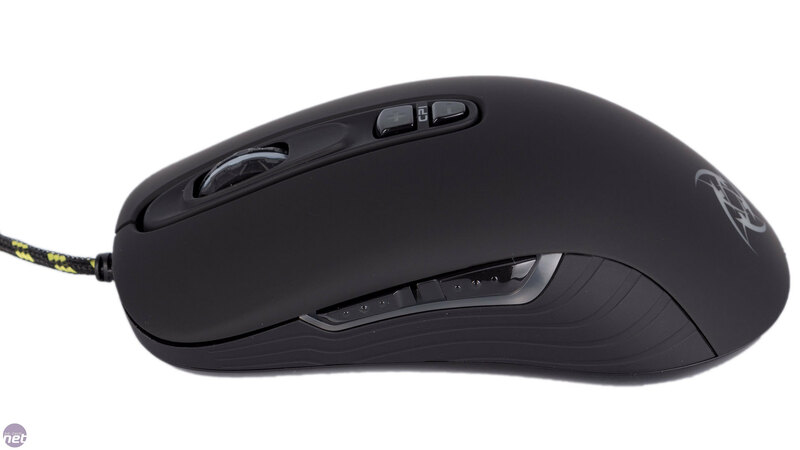 The XG-M2-NIP maintains a low profile and though it has an ambidextrous shape it only has thumb buttons in place for right-handed users. The soft-touch body is very pleasant to hold, and the textured sides give it a little extra grip, which is needs as the main surface is quite low on friction. It works fairly well in most grips, but isn't ergonomically crafted. We found that something in between a palm and claw grip worked best and most naturally – we were used to it very quickly. The premium build quality continues on the underside where you find two large Teflon feet to keep movements smooth. The 2m braided cable has a rigid connection point, which helps to keep it lifted. There are seven buttons embedded here. The two main ones utilise Omron switches, and these have their standard crisp, clicky action and distinct feedback. The scroll wheel impresses too, as there's absolutely no looseness and you can click it aggressively without ever triggering scrolls, but scrolling itself also feels good with clear but not excessive notched feedback. The thumb buttons each have a series of small bumps that prevent your thumb from slipping off or across them. They're accurately placed and sensibly sized, but their total travel distance is high. Still, the actuation force is balanced nicely so you can quickly and rapidly hit them repeatedly without issue if desired. 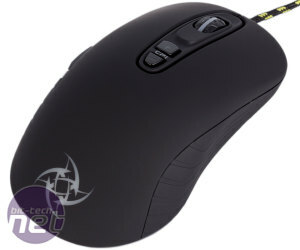 The two final buttons are the on-the-fly sensitivity adjusters, located in the usual position south of the scroll wheel. These could do with being a little further forward as the rear one is right at the limit of where we could reach without moving our hand. Still, this is a neat feature to include, and it's something missing on the Zowie FK2, for example, which only featured a switch on the underside. The sensitivity has five stages: 400, 800, 1,600, 3,200 and 4,000 DPI, each represented in a different colour by the LED that lights up to two DPI toggles – it's up to you to commit to memory what stage each colour represents. The sensor you're controlling is the optical Pixart PMW 3310, one of the most revered sensors out there. Using it, it's easy to why, as it's simply excellent. There is minimal jitter, even at the highest DPI setting, and zero prediction or acceleration. The XG-M2 also features very low lift-off distance – somewhere between the height of one and two CDs – making it great for low DPI play with large sweeping movements and frequent repositioning. The mouse is pushing to the heavier side at 112g excluding cable, but we found this gave us a good sense of control. Anyone looking for as nimble a rodent as possible will probably want to look elsewhere though. 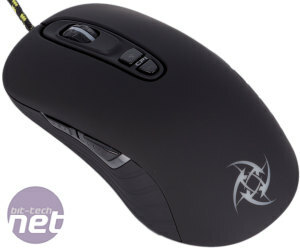 The mouse is purely plug and play, so there's no software to trigger fancy lighting or custom functions. That said, the scroll wheel, logo and side strip all light up yellow – white may have been a better choice here, if only to keep things as neutral as possible. You also get a switch on the underside to switch between 125Hz, 500Hz and 1,000Hz polling rates. 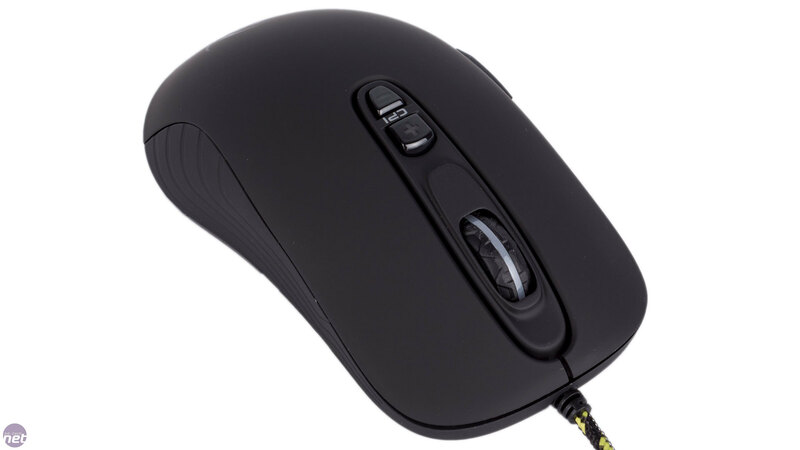 While the XG-M2-NIP isn't a true ambidextrous mouse like the Zowie FK2, the on-the-fly sensitivity adjustment is going to be of use to more people, and it also means you don't have thumb buttons poking out where your ring finger rests. 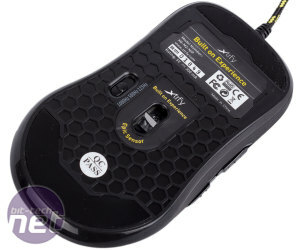 £50 is a hefty wad of cash for a mouse that is comparatively slim on features, but another way of looking at it is that Xtrfy has cut away the nonsense and focussed on quality, of which there is plenty. 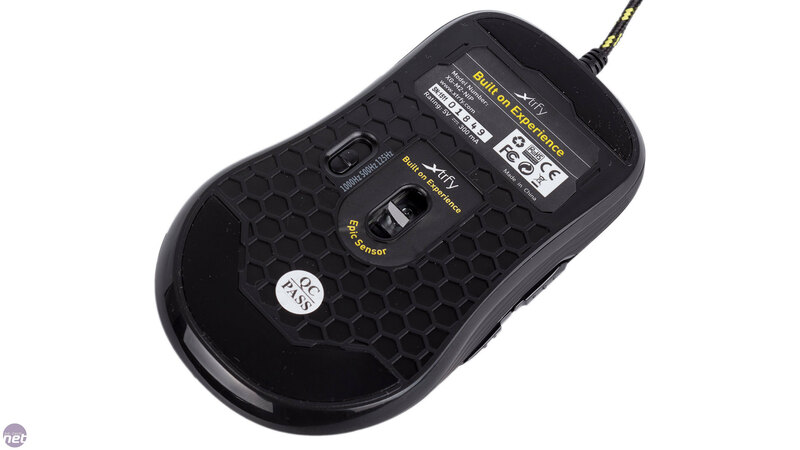 This is right on the limit of what we'd recommend paying, as there are cheaper mice with this sensor, but if you're looking for simplicity and quality, the XG-M2-NIP is a very good merger of the two with very few flaws. 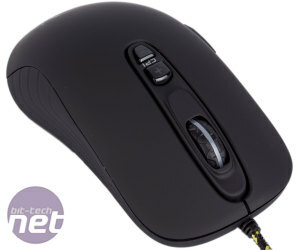 Speedlink makes its bit-tech debut with two gaming mice - can they keep up with the competition?